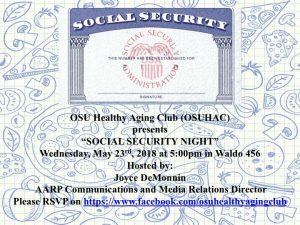 We are a club at Oregon State University. 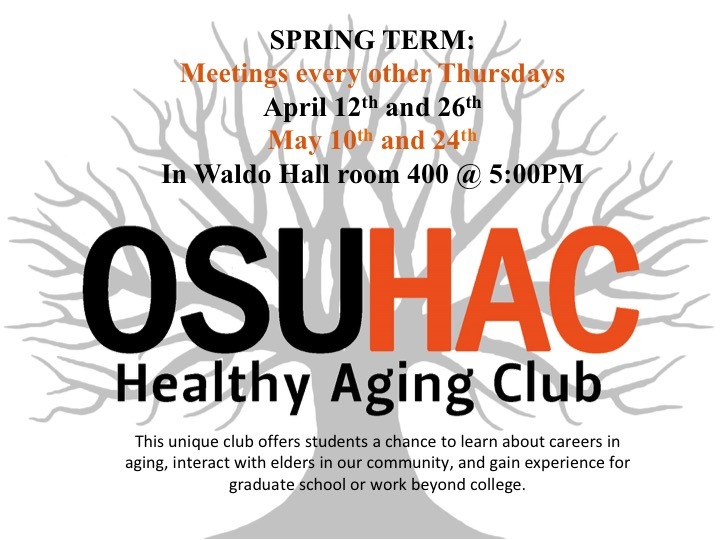 Students from all disciplines are encouraged to attend the OSU Healthy Aging Club (OSUHAC) meetings. 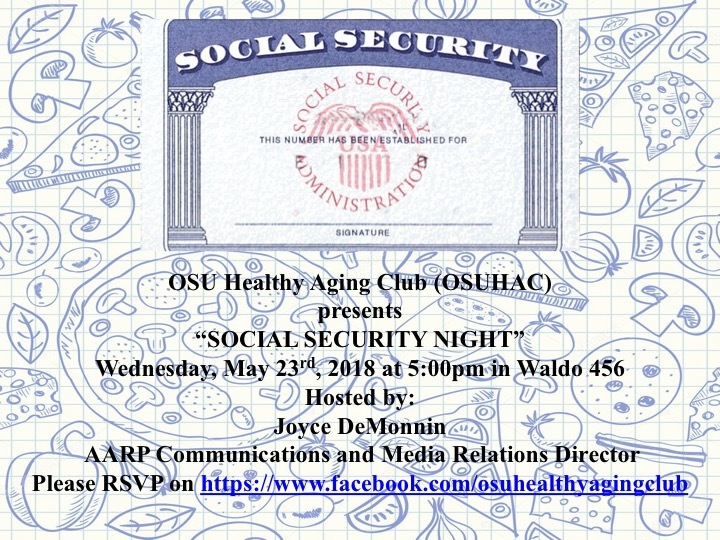 This unique club offers students a chance to learn about careers in aging, interact with elders in our community, and gain experience for graduate school, professional school and programs, or work beyond college. Meetings are held at least bi-monthly during Fall, Winter, and Spring term. CONGRATULATIONS FOR AN EXCELLENT YEAR AND TO GRADUATES! HAVE A GREAT SUMMER AND SEE YOU AT END OF SEPTEMBER! 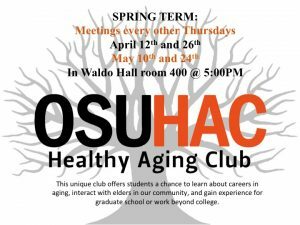 at 5pm in Waldo 400 on Thursdays: April 26th, May 10th, & 24th! Please check clubs’s facebook page for current information if meeting postponed or any cancellations. 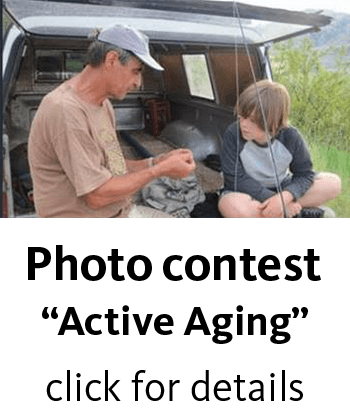 © 2019 Healthy Aging Club, all rights reserved.